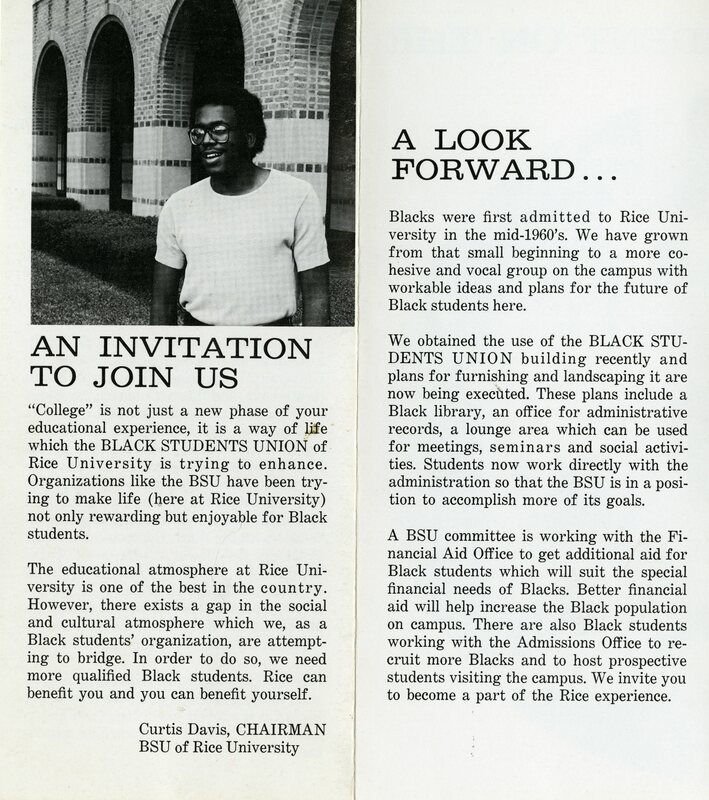 This year we’re commemorating the 50th anniversary of black undergraduates at Rice and the Woodson is participating with exhibits in the trophy case in the RMC. This pamphlet was part of that but I thought I’d also post it here for those of you who can’t just saunter over for a look. These early years of black enrollment were interesting times indeed. They were here but no one knew quite what to do with them. I’m not sure we’re totally clear on that even now. 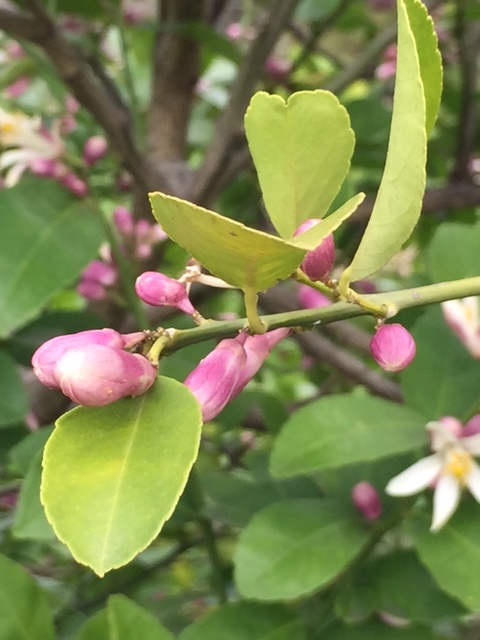 Bonus: The sun came out for a while this afternoon and lo and behold it seems to be Spring. Deja vu. I’ll never forget how embarrassed John Coleman looked in our 8:00 AM Freshman English class when Dr. Doody wouldn’t start the class until he had praised John for his accomplishments in the home football game two days earlier. Everyone profiled here is before my time, so I can’t identify any of the faces in these photos. 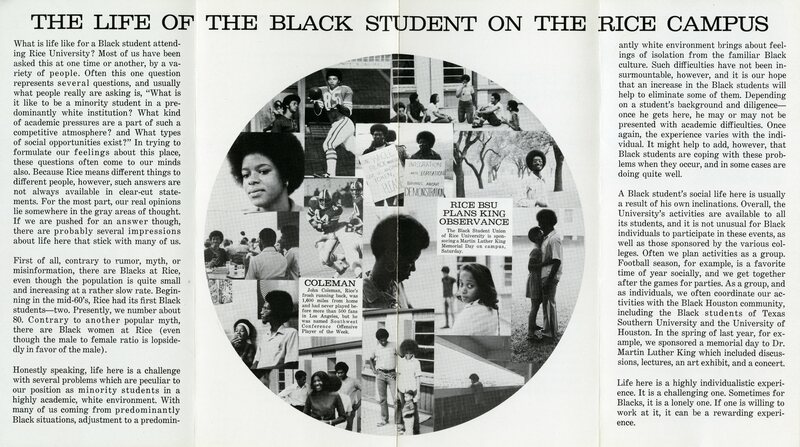 My experience at Rice (1976-80) as a minority student was overall very positive – I never felt that I was apart from the rest of the student body at the time. But at the time, I was completely unaware of the trials those who came before me faced. This article, and the one last year on the first Black co-ed has helped fill in some of the gaps from my days at Rice. Was it really 40 years ago now? Where has the time gone…). HI Keith! Long time, no see! I do believe the last time I saw you was when we were all in the top of the RMC Bell Tower after the “May the Best Man Win” tunnel rally that selected Chris Reed as my best man. Hi Keith! I am glad to see you post here. Keith was in our circle of friends headquartered around the RMC and KTRU. The major thing I remember about him was that he was tall.